As LongTaal we bring best in class clinical trial analytics to the mix – for trends in clinical research, planning of clinical trial and analysis of running clinical trials. In addition to our self-service, web-based LT Analytics Suite, we provide custom analysis and consulting via our LT Institute. Get in touch today to see how we can help the success of your clinical trial. SanaClis is a contract research organization (CRO) offering a comprehensive range of services to support the drug development process in CEE region. 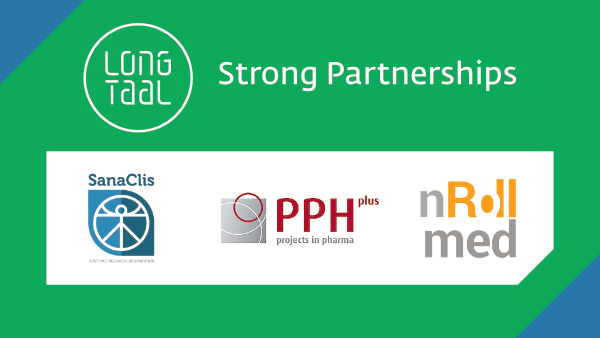 PPH plus specialized Contract Research Organization (CRO) providing unique operational and consultancy services in clinical trials, phase I to IV, with extensive and long-lasting experience serving pharma, biotech, and medical devices industry with clinical study design and management. Online patient recruitment and retention solutions integrated into the life cycle of the patients in the trial, efficiently leading them through different stages of the clinical trial.